It's time to bring back the music you love! 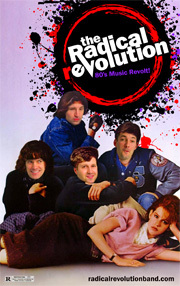 Conspire with other revolutionaries and fuel the '80s resurgence with musical inspiration from The Radical Revolution (formerly The Breakfast Club), Portland's most excellent 80's band. Join the Revolution!! !